Do you know your carrots from your cabbages? Any idea how to encourage bees to your garden to help pollinate your food crops? Have you seen a giant badger? If the answer to any of these is 'no' then come down to our amazing Feed Bristol project on Frenchay Park Road in Stapleton, Bristol at 2pm on Saturday 20th July for a guided tour. Marvel at the sunburst garden, go for a woodland walk, be amazed by the agility of the dragonflies flying around the wildlife pond and get some inspiration to take home. Food growing definitely doesn't have to be boring, this 8 acre site is full of wildlife that helps to keep nature in balance and encourages healthy plants and delicious food to grow. From the bountiful birds who feed on the garden 'pests' to the rich, healthy soil full of worms that provides nutrients for the plants to grow, the is a great example of growing food in a wildlife friendly way. So banish those chemicals to the shed and explore a different way of gardening, enjoy the natural world and take a step out of city life for an hour or so. 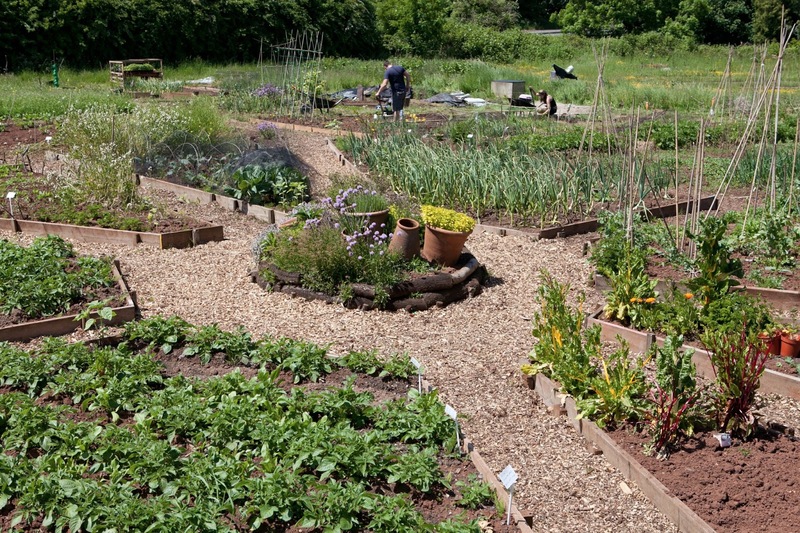 For more information on developing a wildlife garden click here.